For the longest time, I was in the habit of prying open my film canisters (inside the changing bag) and tossing them in the trash. (Which is rather counter-intuitive from a waste standpoint, and makes little sense when I was trying to find quality reusable canisters for bulk rolling). Turns out, the best canisters were the ones I already had (er…or rather: was throwing out). While this is probably out there already in some form, I wanted to share the method I was using with you. 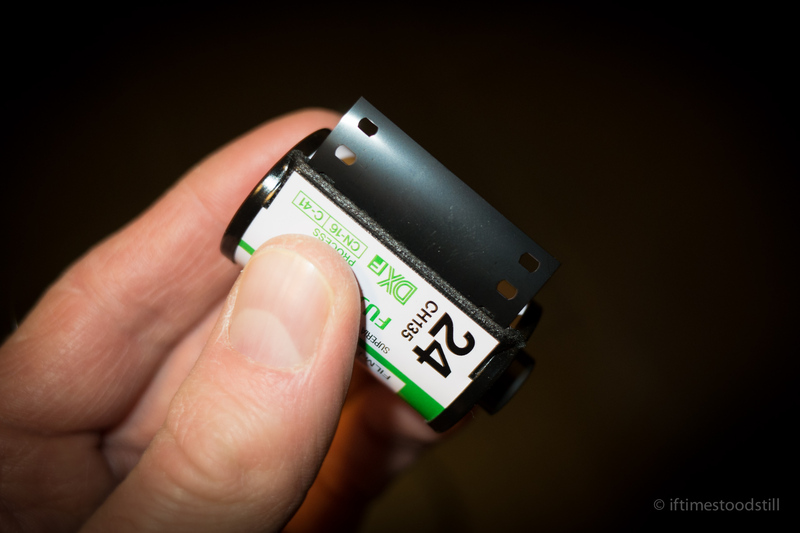 When finished a roll, do not rewind your film all the way into the canister. Leave the leader protruding somewhat. If you have accidentally wound it in, use a leader retrieval tool, or use this method for extracting the end. (I have not been able to make it work successfully…but I only tried once. And not very hard at that. Your mileage may vary). Cut the end of the leader off to form a very gentle point–pictured in the photo above. 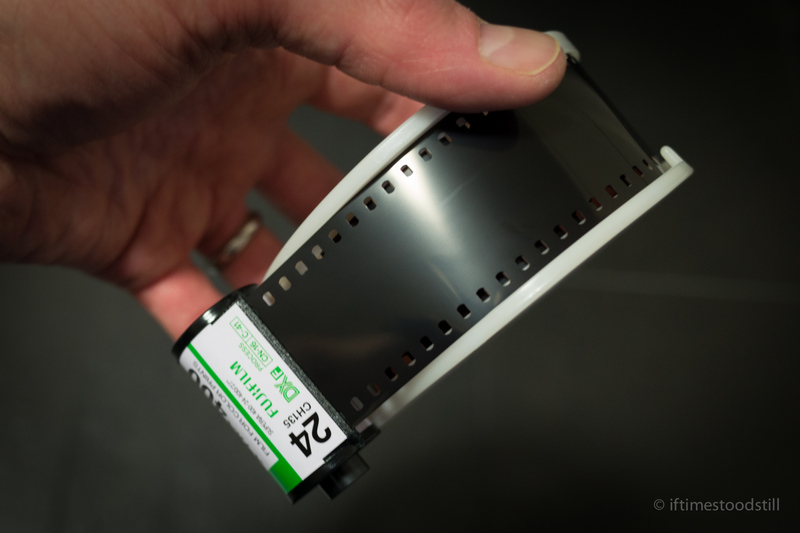 As it turns out, this also makes your film easier to start on the developing reel, and makes coiling a 36-exposure roll a sure-fire thing. 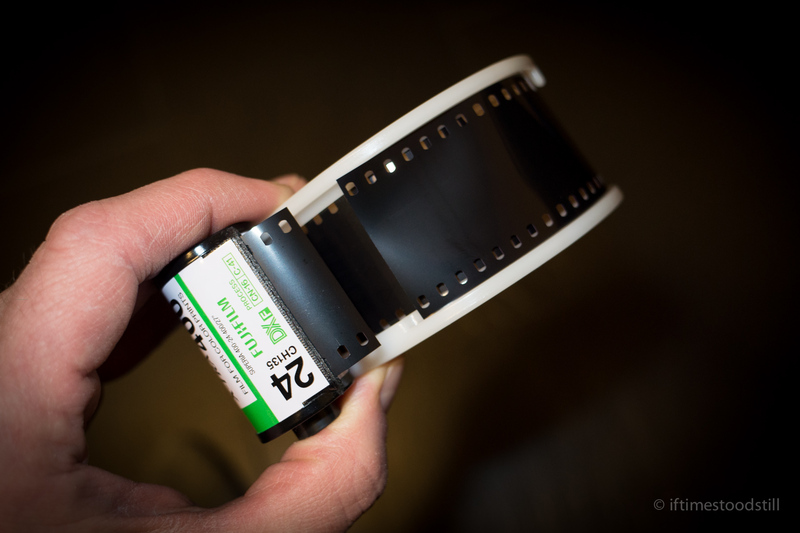 Keep pulling lengths of film out of the canister (in the dark!!! 🙂 ) and feeding it onto the reel. You will then be left with an empty canister, and a secure leader ready to be taped to, and bulk loaded. Wish you and your family happy Holidays. Great idea on the listening. 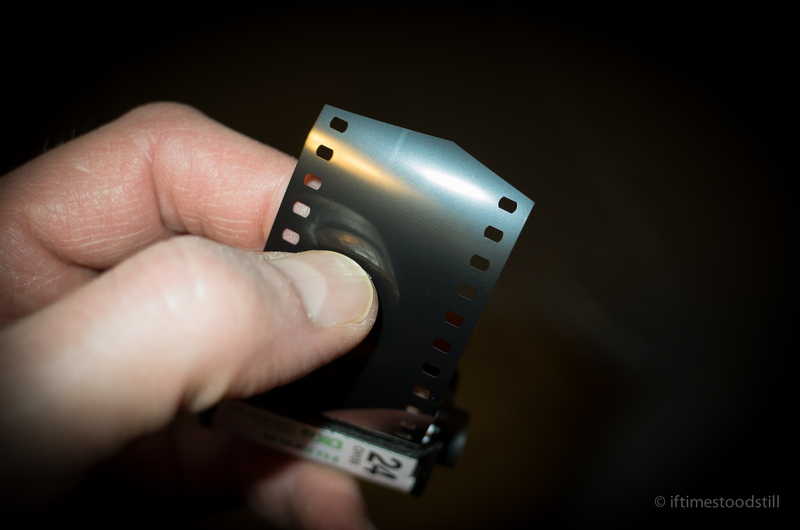 I crimp the end of each leader backwards as I load the film, so there is a tangible “catch” when the rewind is complete. As far as the canisters go, you must have worked yours pretty hard!! Dust is certainly a consideration (and something to watch out for). I keep each canister sealed in a film container when not in use, so hopefully accumulation is minimized. To be honest, these canisters have held up much better than the $2 plastic ones, where the felt falls out after the first load! I go by my local lab and they save empty canisters for me, so also another option for bulk loading! Perfect idea, thanks for sharing.